Ignite the flames of passion with JosyRose this Valentines! Love is in the air this Valentine's day at JosyRose, show your loved one how much you care by creating your very own gift box. JosyRose have a fantastic collection of ideal gift boxes in a variety of shapes. 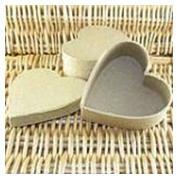 Keeping in the tradition of Valentine's Day, the JosyRose Heart Papier Mache Box is perfect for the occasion. This super-cute box comes ready for you to paint, decorate and embellish to your heart's desire. Ideal for concealing little treats for you and your loved one. 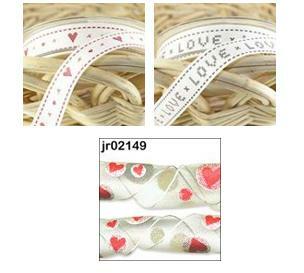 Perfect for decorating your gift box is the selection of JosyRose Valentine's trims and ribbons! We recommend the Hearts and Kisses Ribbon and the Cross Stitch Love Ribbon, both 65p per 1 metre or £11.05 per 20 metre roll. If you fancy ribbon a little more fun we recommend the wired edges glitter heart sheer ribbon, perfect to add a little fun to a project, only 99p per 1 metre. Heart sequins are also the perfect personal touch to your gift box this valentines, the JosyRose sequin hearts are available in a choice of 5 colours, silver, gold, aubergine and the classic cupid colours dusty pink and red, £1.23 per pack of 1000. Make your Valentine's Day special this year with the help of JosyRose, view our whole Valentine's collection here.